There’s no doubt the Luftwaffe proved themselves to be a formidable force during WWII. The German Air Force had been a major player in the fall of France, leaving the Allies wondering how to retaliate in return. After all, at the beginning of the war, the Allied forces weren’t yet a match for Germany’s experienced fighter pilots or their advanced aircraft, namely the Messerschmitt BF 109. However, that all changed when the British and US industrial forces came together to produce some of the greatest fighter planes the Allies had at their disposal. 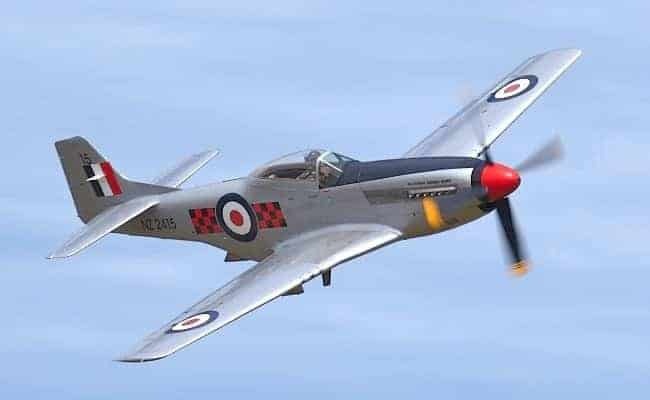 These three fighters were the Hawker Hurricane, the Supermarine Spitfire, and the North American P-51 Mustang – and they made their own mark in WWII history, helping to bring about the ultimate Allied victory. While the prototype for the Hurricane was initially created in 1935, early production didn’t actually begin until a year later. Once they began spilling out of the factory, they ultimately didn’t receive much heavy use. However, they played a major role in early air conflicts even though their fame was later eclipsed by the Supermarine Spitfire. In the US for instance, pilots who joined the Royal Air Forces to form the Eagle Squadrons mostly flew Hurricanes – this was before the US’s entry into the war. Hawker Hurricanes were the ‘big brother’ of the aircraft in the sky, providing cover and brute force against the enemy. While these fighters were only supposed to be used as interceptors in the beginning, they quickly became resourceful for their powerful endurance and reliability, built to last and contain the strength of a battleship in the sky. Their accuracy in the air was also highly valued, as they had a consistent steadiness that made aiming and shooting easier to handle. So while the Spitfires may get credit for their higher victory ratio and better performance overall, they wouldn’t have gotten as far without the support of these heavy-hitting machines nearby. One of the Hurricanes’ pitfalls, however, was its problems involving carbon monoxide leaking into the cockpit. Crews could never really find a suitable solution to fix the problem, despite many overhauls and modifications to the exhaust stubs. Essentially, the fighter pilots were just informed to keep their oxygen masks on at all times until the engine was shut down, to prevent harm to themselves. The Hawker Hurricanes were a favored aircraft of the Soviet Union, who purchased nearly 3,000 planes, which amounts to over 20% of the total aircraft made in the UK. They became the most widely used aircraft in the Soviet air force throughout the war.